A photographic roundup of Crete, including island landscapes, ancient sites (Phaestos, Knossos), and Cretan people. 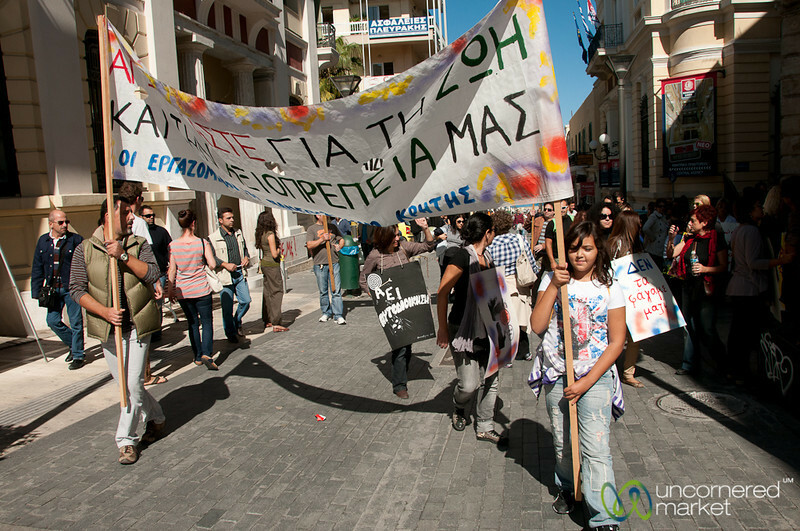 People take to the streets to demonstrate against Greek austerity measures. Heraklion.